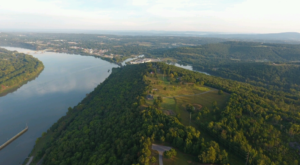 Most Arkansans think of Eureka Springs when trying to determine the quirkiest town in the state. 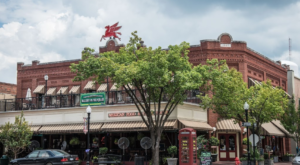 We like to think of Eureka Springs as Arkansas’ cool artsy aunt but it’s certainly not the only town with some quirk. Up in the northeast corner of the state resides Walnut Ridge. 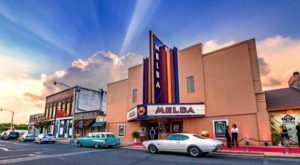 An unexpected visit in the 1960s changed the town into the most musical place in the state. 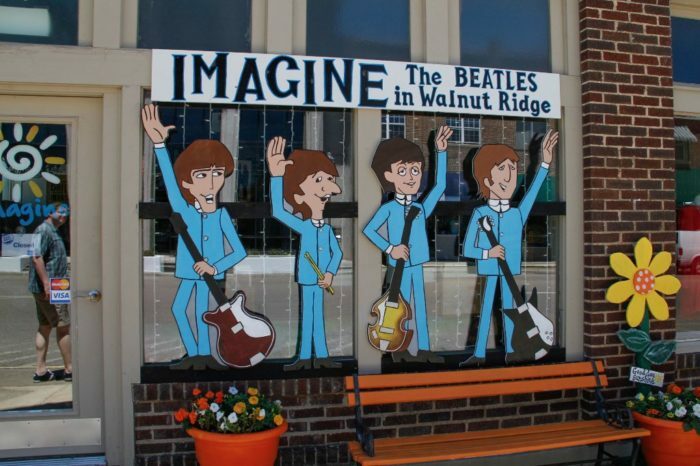 Let’s come together and drive across the universe to Walnut Ridge. 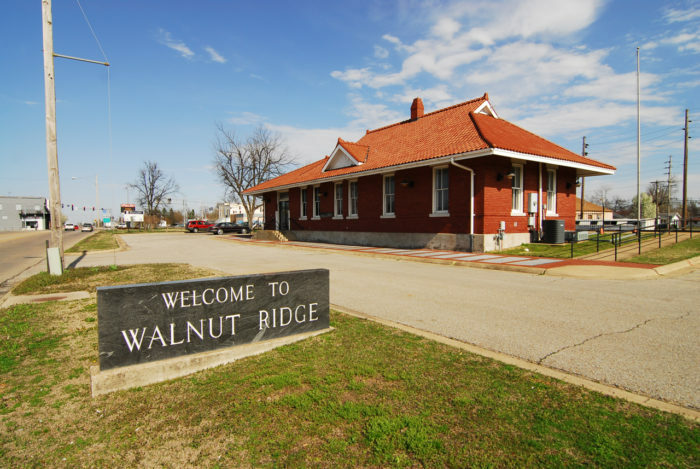 Sure, Walnut Ridge may appear to be another small town in Arkansas but don't be the fool on the hill. This town is actually the most musical place in the state. 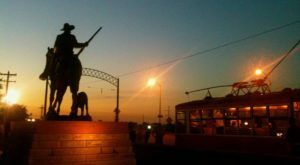 The town is one of the stops along Rock 'n' Roll Highway 67, but that's certainly not the only thing that gives this place musical overtones. This section of Hwy. 67 is a homage to the rock and roll music icons that played at nightclubs and other venues located on the highway. 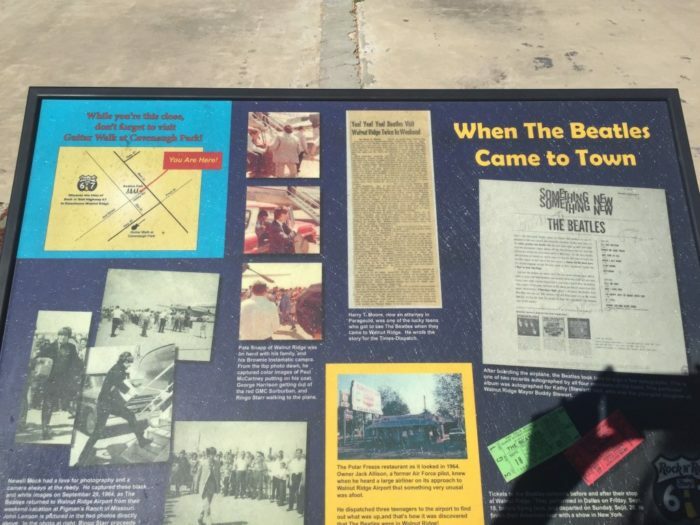 Museums, music festivals, and dedication plaques can be found along the way. The moment that changed Walnut Ridge's course in history happened on September 18, 1964. The Beatles made their only visit to the state after a hard day's night flying between Dallas, TX and Alton, MO. 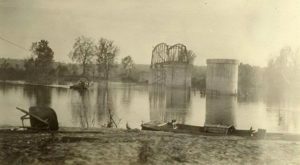 A brief stopover in Walnut Ridge put the town into an excited frenzy. A group of teenage boys had followed the plane and spotted the Fab Four changing flights. They then carried that weight of knowing the most famous band in the world had stepped foot in little 'ole Arkansas. 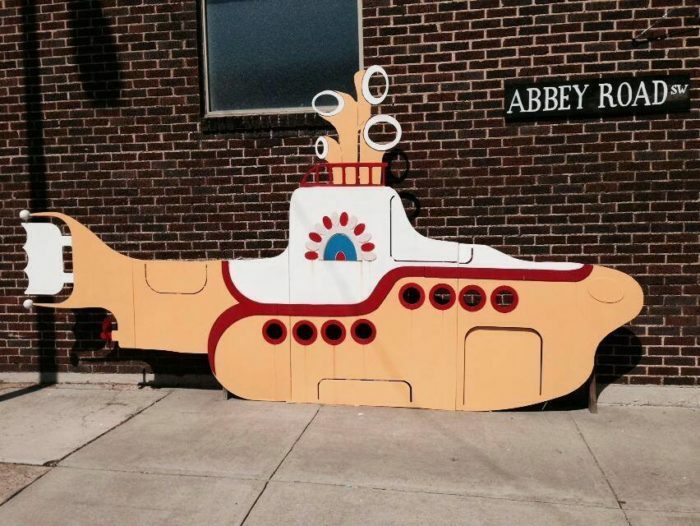 Soon the whole town knew and expected the band to return for another stopover on Sept. 20th. 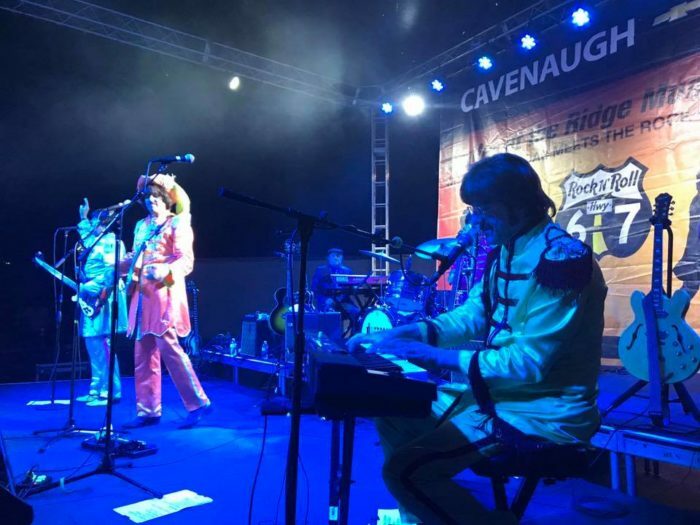 It may not have been in a yellow submarine, but the Beatles did return to Walnut Ridge. Nearly 300 residents flocked to the runway and waited a long, long, long time to spot the band. The morning had many false alarms until finally Lennon and Starr landed. Harrison and McCartney had arrived earlier and were watching the spectacle across the street in an old truck. The four did depart and left a lasting impression on the town. Interesting monuments are here, there, and everywhere throughout the town. Like the Guitar Walk at Cavanaugh Park. 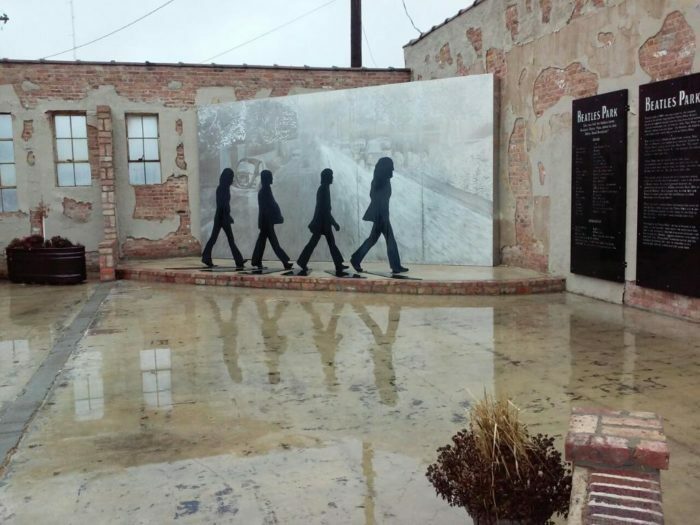 Beatles Park has a whole host of art dedications to the band. You know what to do when you come across these famous silhouettes, take a picture of course! It may not be eight days a week but the town does have a two day festival for music fans. 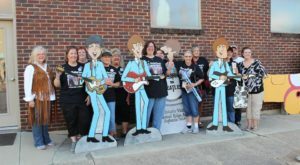 Beatles at the Ridge is held in September every year to celebrate the band's visit. The festival has every little thing from a car show, presentations, cook-offs, and tons of musical performances. This is one town you should have visited yesterday. 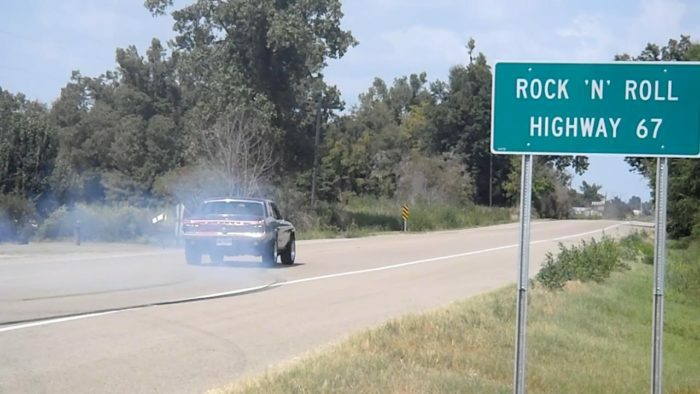 But from me to you, I've got a feeling that after you drive the long and winding road to Walnut Ridge, you'll instantly think, "I'll be back." 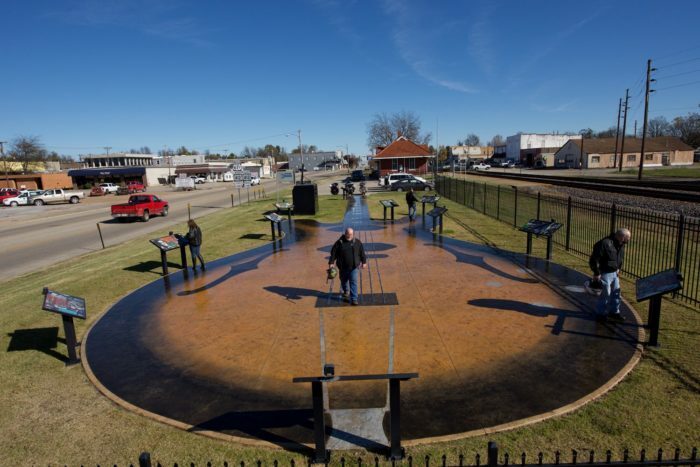 Tell us about your favorite thing to see in Walnut Ridge in the comments below! 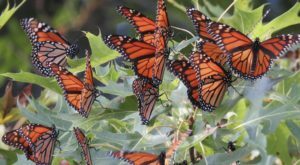 Bonus points if you know how many Beatles song references are in this article! 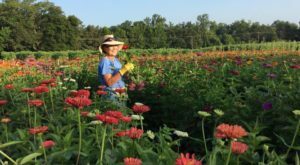 Since you’ll be in the area, you may want to take this Delta dining road trip. Or, for another musical stop in Arkansas, head to this famous musician’s boyhood home.